It's time once again to let it all hang out with an all-new volume of animated outrageousness! From the disturbed comic minds of Mike Barker, Matt Weitzman, and Family Guy creator Seth MacFarlane, comes the always insane adventures of CIA operative Stan Smith and his wonderfully twisted family. In the 100th episode, Hayley elopes with Jeff! Other episodes include Stan on jury duty, Steve walking in on his amorous parents, Roger dating Steve's best friend, and yet another AD Christmas classic. Plus, there are serial killers, Turkish amphetamines, and evil clones - so, you know, the usual! We got a chance to review American Dad Volume Seven and so over the weekend when the kids went to bed that's just what the hubby and I did. This wasn't our first time viewing this show, we've seen a few of the episodes on Fox and we found it pretty similar to Family Guy. The adult humor and jokes were pretty funny to watch throughout all the episodes. This is definitely something we would never let our children watch, so make sure your little ones are tucked in if you're going to put this on. If you are a big Family Guy fan, this is definitely something you could easily start watching. 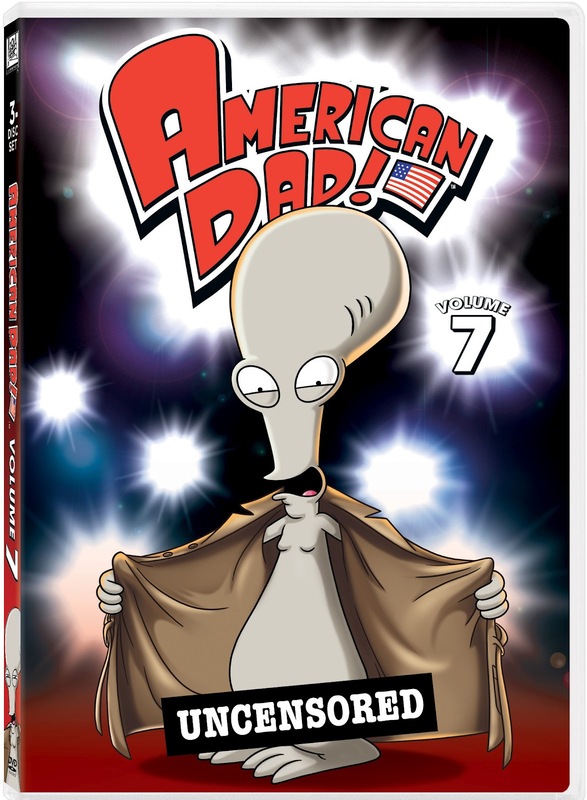 And if you are an American Dad fan, make sure to pick up Volume Seven, now available in stores! Disclosure: All opinions are my own. I received American Dad Volume Seven at no cost for the purpose of this review. No other compensation was received.